The planet LHS 1140b orbits around a red dwarf about 40 light years from Earth. Its distance from its star is a tenth of that of Earth from the Sun for a year that lasts about 25 Earth’s days. Despite the reduced distance, LHS 1140b receives about half the light the Earth receives from the Sun because red dwarfs are small stars, in this case a fifth of the Sun, and therefore dim. 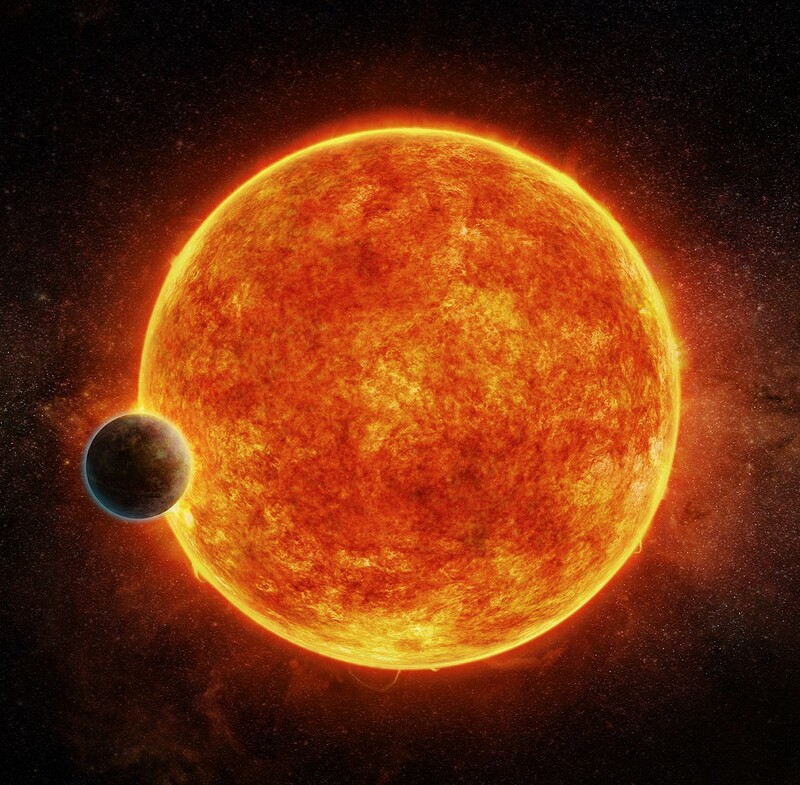 The astronomers have discovered the planet LHS 1140b using the transit method, meaning by measuring the variation of light when it passes between its star and the Earth. The MEarth-South telescope, along with the MEarth-North located in the USA, is part of a project specifically aimed at observing red dwarfs looking for exoplanets using the transit method. The HARPS (High Accuracy Radial velocity Planet Searcher) instruments allowed to gain more data about the planet. At least for now no other planets orbiting around the star LHS 1140 have been detected but in these cases there’s no certainty and on several occasions further studies of a solar system revealed that there are more planets than the ones initially identified. However, the planet LHS 1140b is more than enough to make that system interesting because by combining the various data collected through the observations made with the various instruments, the results are promising due to its characteristics. Jason Dittman stated that LHS 1140b is the most exciting exoplanet he has seen in the last decade. That’s because the characteristics discovered could make it even the most promising in the search for signs of life beyond the solar system. It’s a super-Earth, a rocky planet with a diameter of nearly 18,000 kilometers (about 11,200 miles), about 1.4 times that of Earth. Its mass is, however, much higher, about 6.6 times that of Earth, so it must be much denser, probably with a dense iron core. The situation of the LHS 1140 star is also favorable because its rotation is slower and emits less high-energy radiation than similar stars. Its age is similar to that of the Sun and red dwarfs tend to be very active when they’re young. A massive planet such as LHS 1140b could have suffered less damage from the strong ultraviolets received when it was young and if it really has an iron core it could also have a magnetic field to shield it. Recently the TRAPPIST-1 system has been the subject of various speculations but its star may still be active hammering its planets, bad news thinking of the hopes that at least one of them has the conditions to host life forms. From this point of view, today the situation on the planet LHS 1140b could be much better but we still know too little about it. A key element in understanding if the planet LHS 1140b is really promising in seeking life forms similar to ours is its atmosphere. The chance to see it pass in front of its star once every 25 days is excellent because a planet’s atmosphere filters the light from its star. Analyzing the way it’s filtered it’s possible to understand first of all if the planet has an atmosphere and, if that’s the case, get at least some idea about its composition. LHS 1140b gets added to the already long list of targets for the observation to be conducted with the James Webb Space Telescope, which is scheduled to be launched in 2018. However, it’s already possible to study the this exoplanet’s possible atmosphere with existing instruments: for example, a study is planned using the Hubble Space Telescope.